‘Tis the season for shopping, spending, socializing, and gifting. While the holidays are laced with the spirit of giving, this year an even brighter light is shed on Macy’s Heart of Haiti Collection – a collection that honors social good; a gift that truly keeps on giving; and a source of artisan inspiration that gives hope to the country of Haiti and its Haitian artists still affected by the 2010 Earthquake many years later. 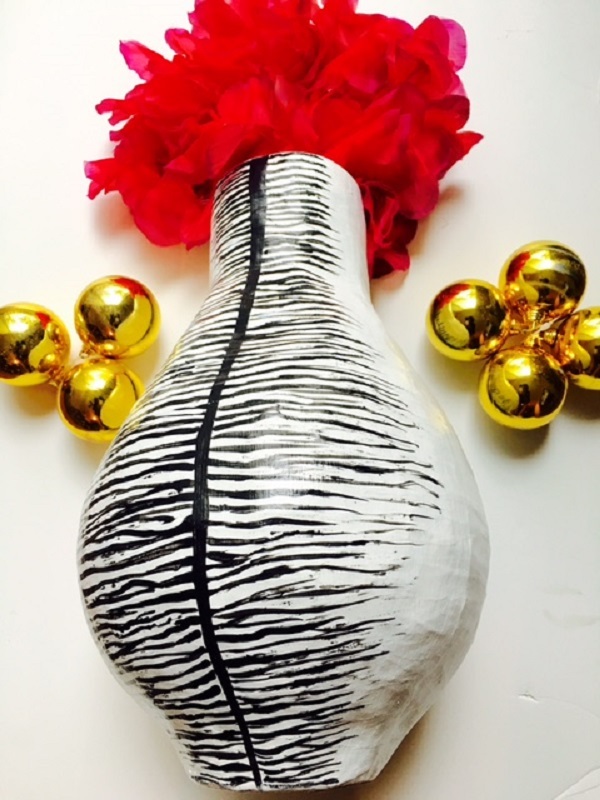 Of particular interest to our wandering art-deco eyes, was the Macy’s Heart of Haiti papier mache vase of black and white motif, retailing at approximately $55. 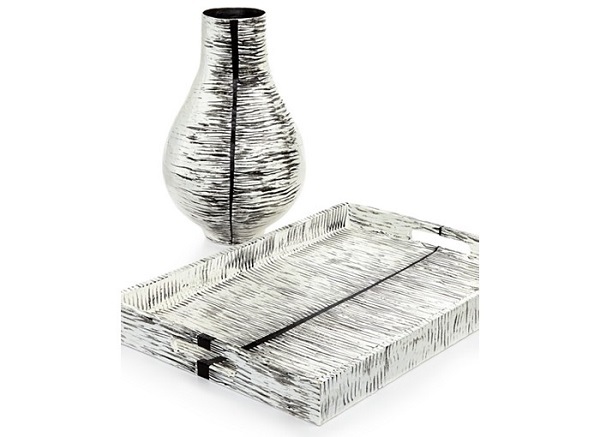 Instantly upgrading any room or structure where it is situated, this vase acts as the perfect gift for a loved one obsessed with home décor or one attracted to meaningful entertainment. 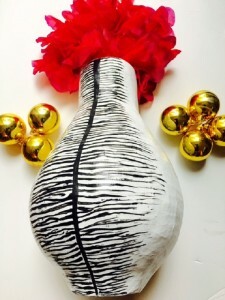 Specially handcrafted by Haitian artisans using age-old papier-mache techniques, the sales of these vases at Macy’s provide means for artisans to feed their families, send their children to school, and better support their extended families. This season, make a socially beneficial decision to give gifts of hope during the holiday season – to selflessly impact the lives of others in need, such as that of Haitian papier mache artisan Gerard Dume (pictured below). 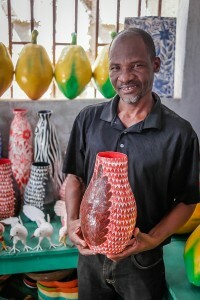 Haiti boasts an estimated 400,000 artisans out of a 10 million plus population – 550 of whom are employed by Macy’s Heart of Haiti program, like Dume. Through his work with the Macy’s collection, Dume supports his own children and several nieces and nephews who were orphaned by the devastating earthquake that tragically impacted Haiti in 2010. Take a page from our deco #inspo book this season and pair this lightweight vase with a vibrant floral arrangement (pictured above); or cascade the vase against powerful accent colors on your tables, bookshelves or counters. Whatever you or your lucky recipient chooses to do — know that any of the gifts that give hope through Macy’s Heart of Haiti Collection are more than just décor, it’s an opportunity to change and impact lives this holiday season. “This post is sponsored by Everywhere Agency; however, all thoughts and opinions expressed are my own.” Papier Mache Image with floral decor and ornaments, credit Leah Frazier for Inspire N Style Magazine. All other images used courtesy of Everywhere Agency on behalf of Macy’s.